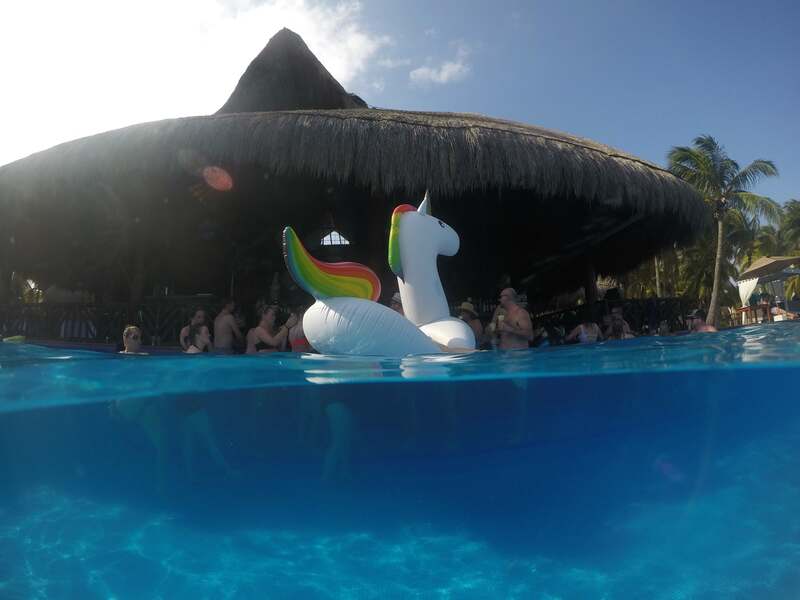 The El Dorado Royale all-inclusive in Riviera Maya is a beautiful adult-only resort. It is an easy 30-minute drive from Cancun International Airport and a short drive to Playa del Carmen and Tulum. What sets this resort apart from other all-inclusive resorts is the immaculate property and the wonderful level of service and hospitality. The beautiful and expansive El Dorado offers 15 restaurants, 6 pools, 9 bars, and 2 spas. 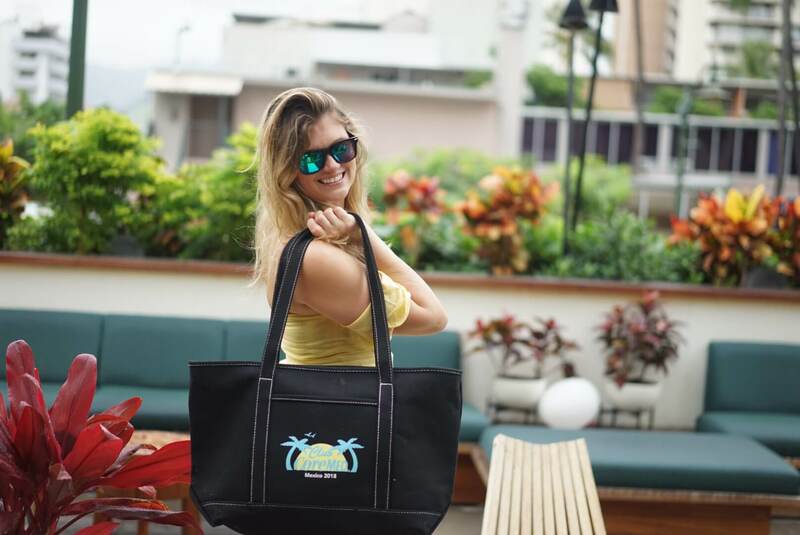 Whether you want to relax quietly with your travel mates or socialize with new faces, every type of traveler can find their niche at El Dorado. This is a perfect place for a destination wedding or romantic getaway with your partner! Personally, I have stayed at the El Dorado five times over the past six years. It has been a spot that I love returning to and feel like there is something new to enjoy with every visit! 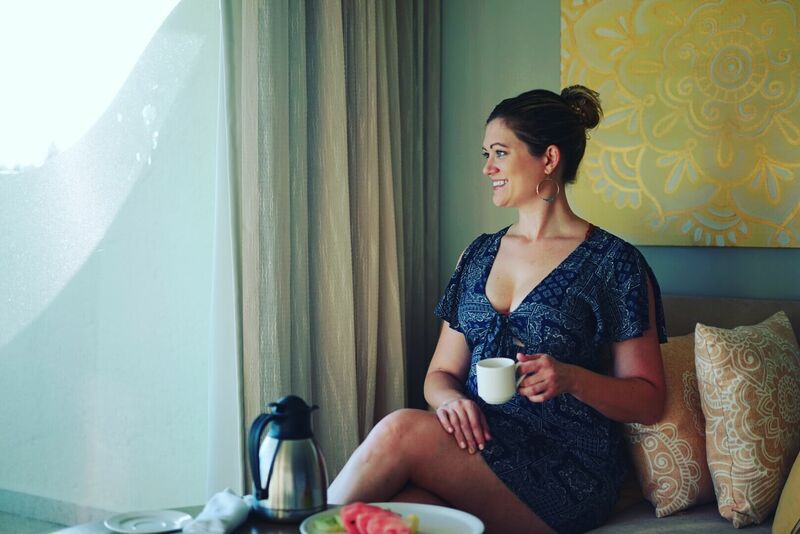 The ocean vistas, relaxing resort, mouthwatering food and drinks, and entertaining activities make the El Dorado a place that I keep on wanting to return to for another visit! Enjoying the view from my private infinity pool suite! During the day, countless Bali beds, cabanas, and lounge chairs line the beach and smaller pools, and are wonderful places to relax in solitude. 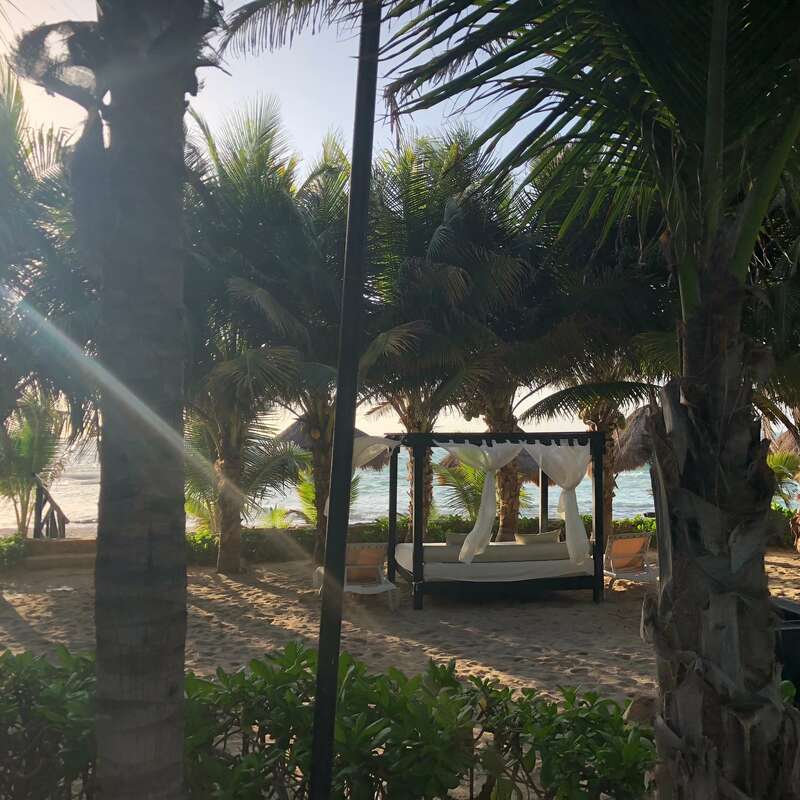 Relaxing and unwinding is easy in the beautiful Riviera Mayan sun. A large pool in the center of the resort is a lively spot to listen to music, enjoy a drink, and socialize with other guests. The two spas on resort offer a luxury relaxation experience. Hydrotherapy pools, massages and other treatments offer a world class spa service. While staying at the El Dorado, do yourself a favor and get a massage! You will not regret it! Music, drinks and a pool = a great daytime combo! The variety and quality of food sets El Dorado apart from other all-inclusives. The El Dorado offers 15 restaurants serving up world class dining and international cuisine options. And for those meals when you just want to stay in, room-service is available 24/7! Coffee and fresh fruit delivered right to my room! Fresh seafood and locally grown fruits and vegetables make the resort cuisine truly remarkable! I never felt like I was eating the same thing. The number of healthy options on the resort was impressive! 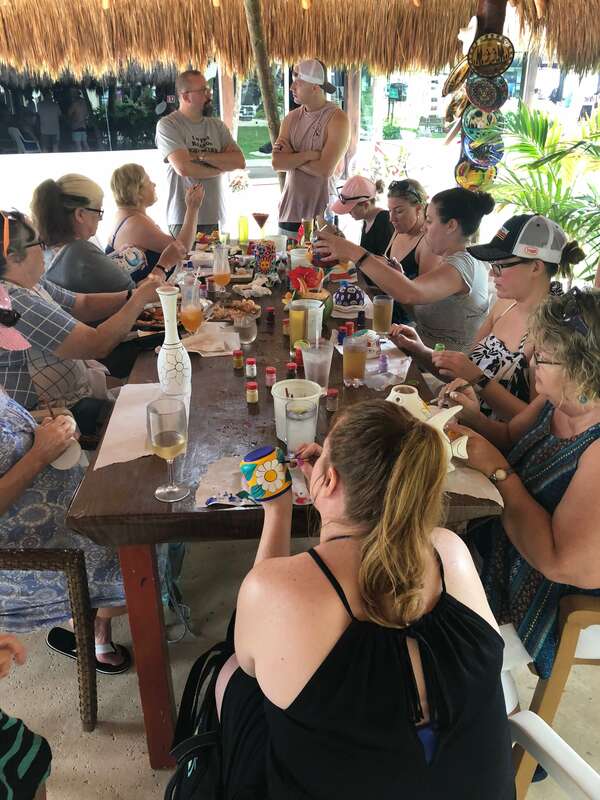 An all-you-can-eat breakfast buffet offers an extensive array of breakfast foods from an egg station, fresh fruit, traditional Mexican food, and a charcuterie bar. Lunch is served at one of the many restaurants surrounding the pool. Lunch is a mixture of lighter seafood and fresh fruit along with different options like hamburgers and pizza. Dinner is more formal and restaurant reservations are highly recommended. A diversity of cuisines are served across the resort’s multiple restaurants, including Japanese fusion, Mexican, and Italian fare. 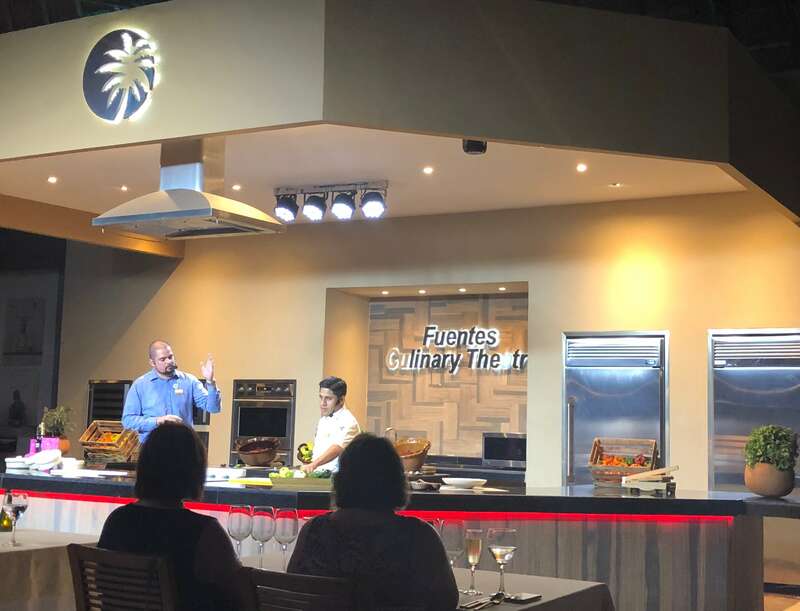 For a culinary treat, Fuentes is a culinary theater on resort that offers a nightly cooking show paired with dinner. The all-inclusive drink service is top shelf at the El Dorado! 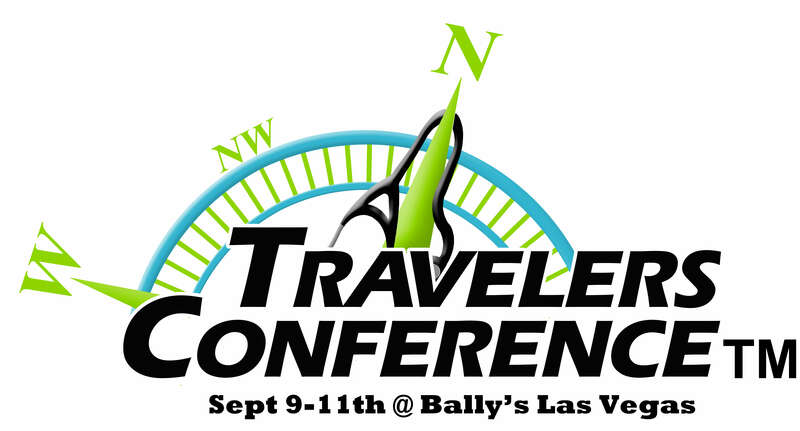 A full liquor selection, Mexican and American beers, and a fruity beach cocktail menu offer something for everybody. 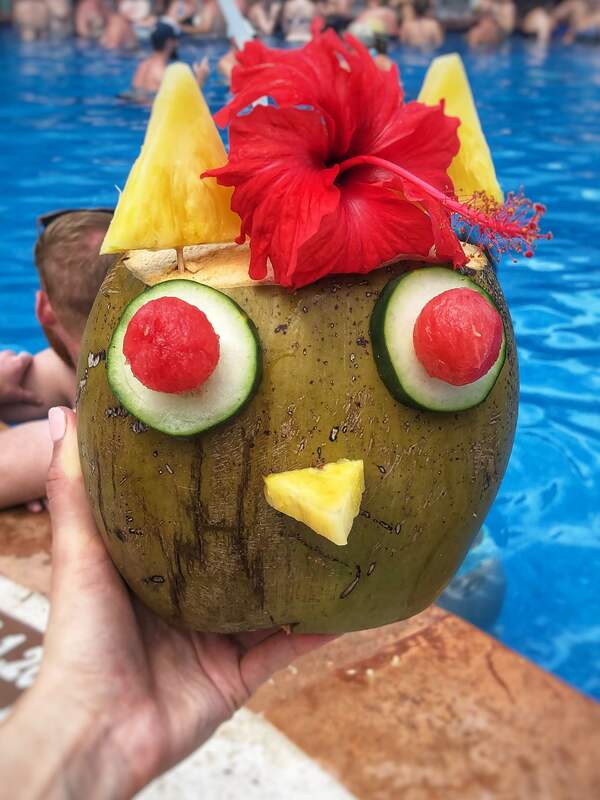 Fresh drink in a coconut! Swim-up bars offer service in the pools during the day time. If you want to stay alcohol-free there is a healthy smoothie bar and two Starbucks (at an extra charge) on the property. Mini bars in each room are filled with beer, and wine by the glass can be ordered with room service. Bottles of wine and champagne are available for extra charges. Energizing activity staff members run a variety of daily events: daily tequila tastings, water polo, yoga and volleyball to name a few. A daily activity schedule provides information on the events and happenings of the day. Nightly entertainment by an in-house entertainment team ranges from a Michael Jackson tribute artist to fire show performances. Guests have the chance to compete in a weekly karaoke competition. After the entertainment, an open dance floor and bar run until 2:00 in the morning. A swing bar on the beach is a hot spot for mingling with other guests until early hours of the morning. Both bars open a late night street taco truck, which hits the spot for a midnight snack. For an off resort excursion, you can book a variety of adventures leaving from the El Dorado. Travel agents contract with the El Dorado and provide excursions to adventurous, historical, and beautiful off resort destinations. Top sites include Tulum, Chichen Itza and Isla Mujeres. 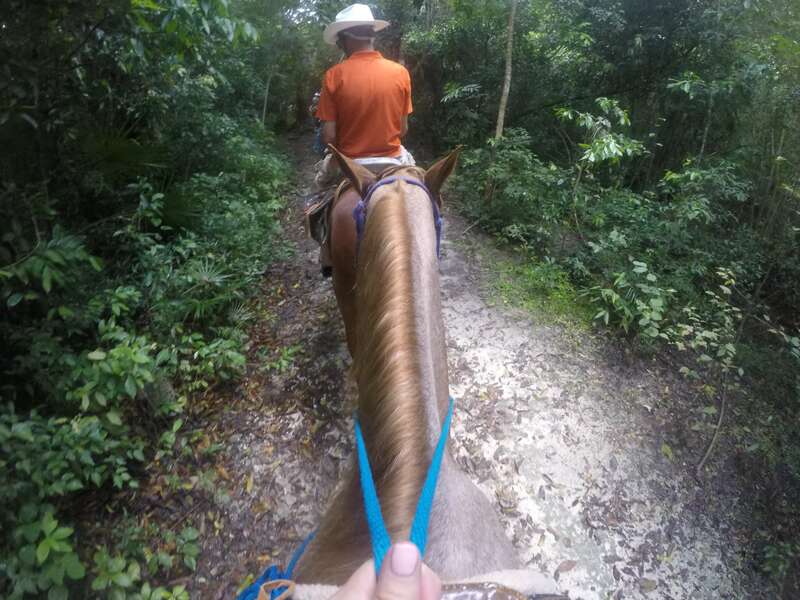 For an adventure without leaving the resort, Bonanza Mexico has a ranch with horseback riding and Cenote swimming right on the resort property. It is located a golf cart ride away from the main entrance. Why Choose the El Dorado? 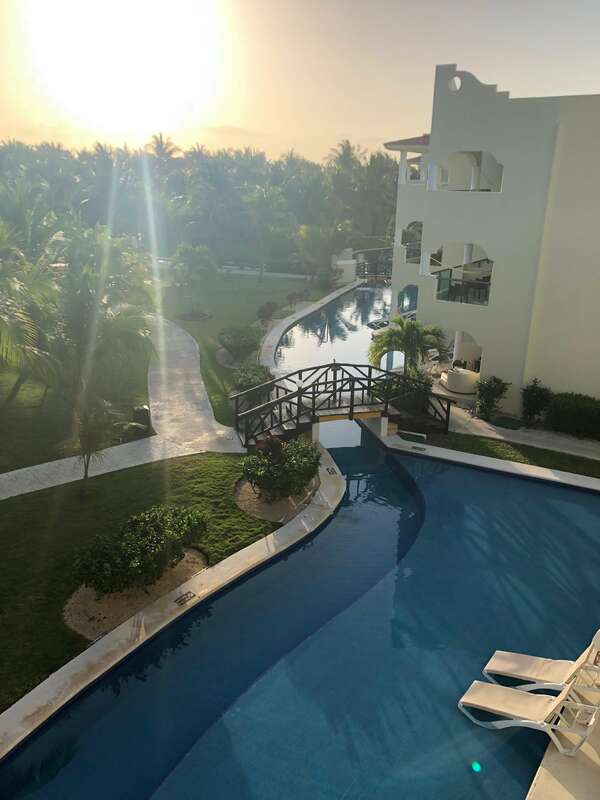 The El Dorado resort in Riviera Maya is a large resort that has room for everything and everybody. Unlike other all-inclusives, where you may feel stuck in a small space, there is plenty of room here to relax. No need to get up early to fight for a lounge chair or place at the pool. There are ample chairs, Bali beds, and cabanas for guests to use. A wide selection of food will have you eating something new for each meal. Healthy and fresh options make the cuisine light and refreshing. The hospitality and service are exceptional and make the El Dorado a winning pick for your Riviera Maya vacation. Loving these photos! I stayed there myself for one of my girlfriend’s wedding and this definitely takes me back!